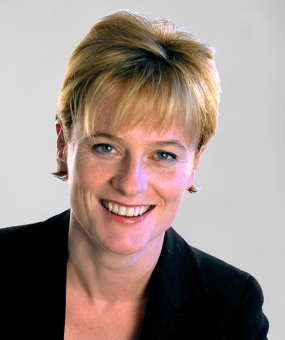 Fionnuala McCredie was called to the Bar in 1992 and specialises in the fields of construction and engineering, public procurement, energy, environment and professional negligence related claims and insurance disputes. Fionnuala’s practice covers a wide range of advocacy, advisory and drafting for both domestic and international clients. Her advocacy expertise has led her to regularly act for clients in the High Court, especially the Technology and Construction Court, as well as the Court of Appeal and appear before arbitrators, adjudicators and other tribunals. She is a CEDR certified mediator and a very experienced mediation advocate. “Held in high esteem for her busy procurement practice”, Fionnuala acts for challengers, contracting authorities and successful tenderers in a wide range of procurement disputes. Significant cases in which she has appeared include in a substantial court challenge to a pre-qualification stage of procurement of rolling stock, Cemex v Network Rail concerning the procurement for the design and build of a concrete sleeper manufacturing facility, and Roche Diagnostics Ltd v The Mid Yorkshire Hospitals NHS Trust and Pearson Vue v Minister for the Cabinet Office on early and specific disclosure in procurement cases. Fionnuala’s construction practice has involved disputes related to commercial and domestic property, structural glass and cladding, railways, roads, mining, water, marine and aviation hardware disputes, dredging and marine engineering, process plants and IT disputes. Her key recent construction cases include the high profile case of Eurocom v Siemens where the court found a strong prima facie case of fraudulent misrepresentation in an adjudicator’s appointment. She is also instructed in a large volume of PFI disputes in rail, healthcare and leisure sectors, including advising Greater Manchester Waste Disposal Authority on the termination of its Recycling and Waste Management PFI with Viridor Laing in 2017. Clients credit Fionnuala for her dedication to achieving results and passion for protecting their interests. Her understating of their commercial objectives, coupled with her technical brilliance in even the most complex of cases mean “those who know her will not even consider using anyone else.” She is recommended as a leading silk for procurement and construction in both the Chambers UK and Legal 500 UK Bar guides. Acted for the Defendant in a legal challenge arising out of the procurement of the new emergency services (“3Es”) communication system. Acting in court challenge to a pre-qualification stage of a very large rolling stock procurement. Advising a public authority on the procurement aspects of the potential for variation of, or termination of, a large and high profile P.F.I. contract. Acting for a challenger in respect of a procurement for development services for a local authority estate refurbishment project. Cemex v Network Rail  EWHC 2392 (TCC): Dispute concerning the procurement for the design and build of a concrete sleeper manufacturing facility. Acted for successful tenderer in opposing an application for disclosure of its tender. Acted for the successful tender in a challenge to the award of a contract for haematology and coagulation services. Acting for Contracting Authority in the PFI procurement of a waste disposal service, including an EfW plant. Advising on all aspects of the procurement (a competitive dialogue). Roche Diagnostics Ltd v The Mid Yorkshire Hospitals NHS Trust  EWHC 933 (TCC): Acted in this leading case concerning early disclosure in procurement cases. Liconic AG v UK Biocentre: defeated a claim for strike out/ summary judgment where pleadings disclosed an arguable case that the Defendant met the criteria for being a contracting authority. Pearson Driving Assessments Ltd v Minister for the Cabinet Acted for Pearson in a challenge to the award of a contract for administration of the driving theory test. Harry Yearsley Ltd v Secretary of State for Justice  EWHC 1160 (TCC): successfully defended an attempted strike out in a procurement case involving the supply of food to prisons. Amaryllis Ltd v HM Treasury (sued as ogcbuying solutions)  EWHC 1666 (TCC): Case concerned the procurement process involved the supply and installation of furniture for a variety of government departments. Advised on the issues in respect of performance of, and potential termination of, a large and very high profile Private Finance Initiative (“PFI”) contract. Acting for the supplier and designer of a bioreactor gas treatment system for a waste treatment plant. The dispute included liability for the cost of delays to the waste treatment plant completion and the efficacy of the gas treatment system. The case involved complex and interesting technical and legal issues around the operation of bioreactors and legal responsibility for variations in plant operation. Providing ongoing advice to a contractor on issues arising in the construction of a very large hospital P.F.I. contract, including unforeseen ground conditions, asbestos finds and the liability therefore and a professional negligence claim against advisors to the contractor. Eurocom v Siemens  EWHC 3710 (TCC): Very high profile case uncovering a long standing practice by some adjudication practitioners of alleging conflicts of interest on the part of prospective adjudicators when there was no such conflict in order to avoid them being nominated by the RICS. The case has had significant consequences for adjudication in the construction industry in increasing the transparency of the process by which adjudicators are appointed. Working Environments Limited v Greencoat Construction Limited  EWHC 1039 (TCC): Acted for the defendant in this case which was the first example of severance of part of an adjudicator’s decision. Carillion JM Ltd v Bathand North East Somerset Council: Acted for the contractor responsible for the construction of the new Bath Spa project. Acting for a leading international law firm in disputes arising out of the construction of a new headquarters building in the Caribbean. In what is her longest running case to date, Fionnuala advised on initial steps to rescue the building project and subsequently in a successful negligence claim against the design team for defects and the defence of a claim by the contractor for delay, disruption, loss and expense. Advising Contracting Authority in the termination of a large operation PFI contract. Case involved the technical aspects of EFW plants, composting plants, anaerobic digesters and Mechanical Treatment plants, SOPC 3 and 4 drafting issues, rights of step-in, and duties to, and rights of, the senior lenders under a direct agreement. Acting for Contracting Authority in an adjudication over Performance Points and Performance deductions under the Paymech. Advising Contracting Authority on the procurement aspects of material changes to a large leisure PFI. Acting for the Facilities Management Contractor in an expert determination of a dispute about the re-basing of the FM services in a hospital PFI. Acting for the Facilities Management Contractor in a dispute about the standard of performance required, the meaning of the KPIs, the right to make performance deductions and Paymech provisions in a large hospital PFI (air-conditioning maintenance and cleaning, cleaning services generally). Acting for the Construction Contractor in multiple construction disputes in a PFI for the provision of court services. Acting for the Operating Contractor in multiple disputes arising from the Operating Contract and the Interface Agreement arising from an accommodation PFI (liability for replacement of public address system, MORE). Acting for the Construction Contractor in a dispute regarding the liability for asbestos finds in a schools PFI. Acting for the Construction Contractor in a dispute regarding the liability for asbestos finds existing buildings and in the ground in a hospital PFI. Experience in both construction related professional negligence (architects, engineers, contractor designed works, surveyors, valuers etc.) and solicitors negligence. Acted for building owner in claim against the contractor’s designs of a major building in the Caribbean. "Endless enthusiasm and patience allied to a very keen commercial understanding of the industry and the legal challenges it faces." "She offers pragmatic, down-to-earth advice, and is great at advising in straightforward terms." "She really gets behind the client and is very passionate about protecting their interests - clients feel like she will go in to bat for them at every turn. Those that know her will not even consider using anyone else." "Technically brilliant and has an excellent client manner." "A joy to work with"..."A consummate advocate." Eurocom v Siemens: as “strong prima facie” case of fraudulent misrepresentation, Practical Law Construction blog, 12 November 2014. Researcher, Keating on Construction Contract – Ninth Edition (2012). Using Part 8 to finally determine issues and enforce part only of an adjudicator’s decision Fionnuala McCredie QC and William Webb 3 February 2010. Lectures regularly at procurement industry events including White Paper conferences and Procurement Lawyers Association seminars. Provides training and CPD for solicitors on construction and procurement issues. Fionnuala enjoys skiing, rock climbing, running and family life with her children.